Instantly glam up your look with these smooth statement boots! 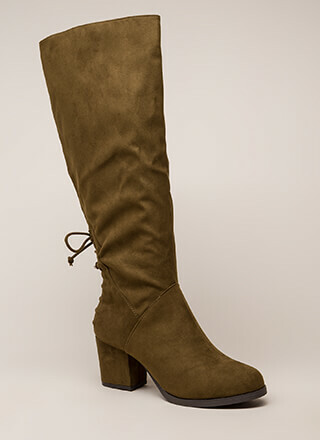 Satin peep-toe boots feature an over-the-knee shaft with a ribbon lace-up front and a wrapped stiletto heel. A partial side zip closure leads to a ridged sole.